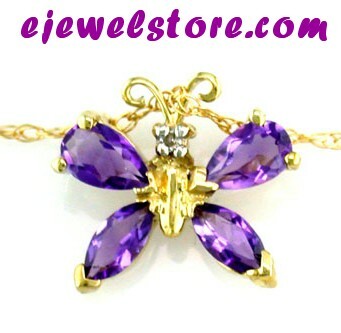 The Butterfly Design is Cute enchanting and youthful, Includes 4 Genuine Amethyst Gemstones, beautifully made in Genuine 10 Karat yellow Gold. This would also make a Great Gift anytime. 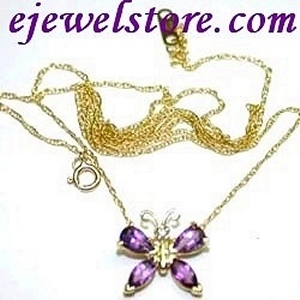 Genuine 10K Gold chain may be purchased separately at a low price via necklace search. 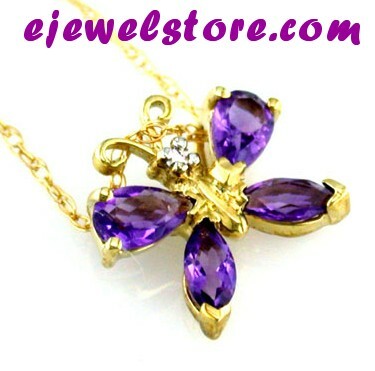 Gemstone Description 4 Genuine Amethyst Gemstones. Gemstone Description 1 Genuine Round Cut Diamond .